New Solo Movie Stainless Steel Earrings Set now in stock! Walmart has debuted a brand new Solo: A Star Wars Story themed item: a Stainless Steel earrings set! This set costs $13.95 and shipping is free. As of this writing there are only 3 of these earring sets left in stock so order soon. Rule the Galaxy with the 3-pair set of Star Wars earrings. 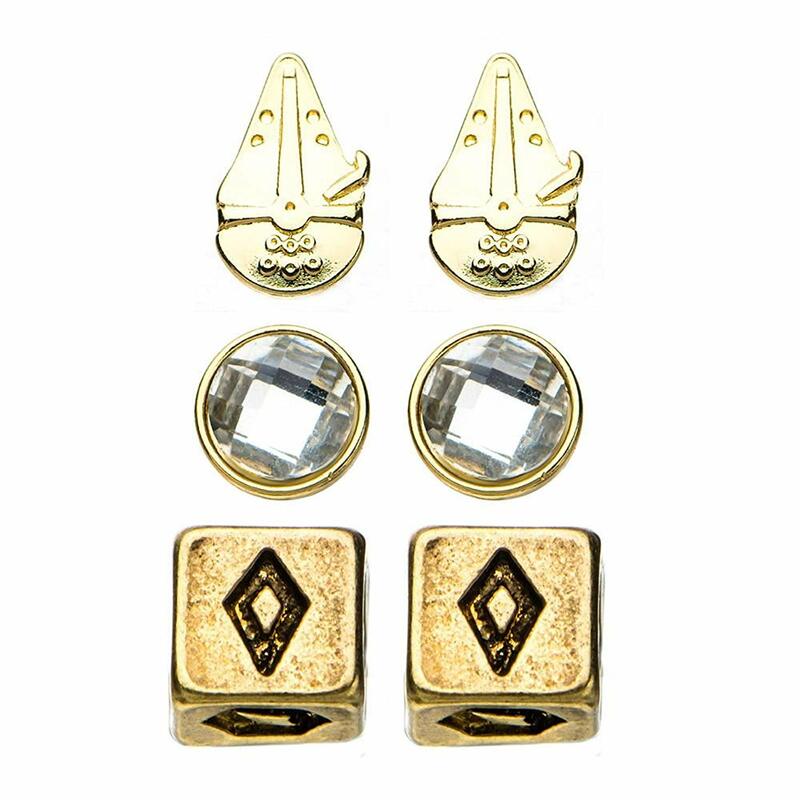 Feel as lucky as Han with the gambler’s dice pair, sport the new polished model of the Millennium Falcon, and mix and match it all with beautiful gem stone posts for a fun new way to rock your Star Wars fandom. 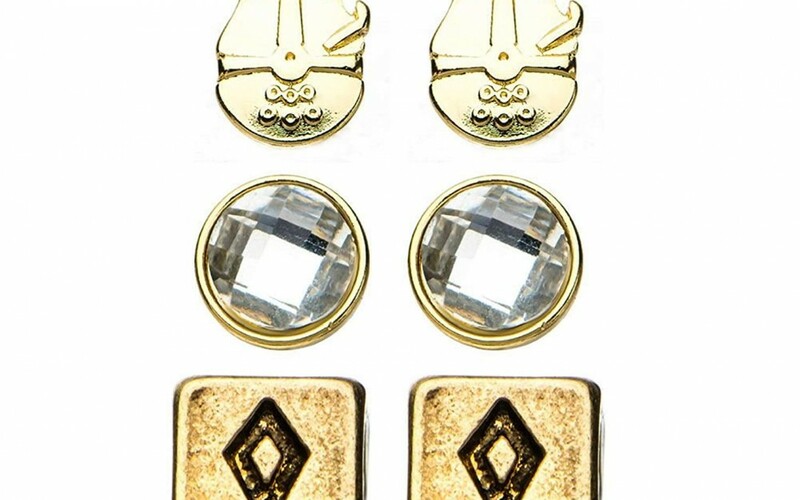 Features earrings of the Millennium Falcon, Han’s gold dice and gem stones.